Digital Decision Making based on Artificial Intelligence (AI) and Operations Research, including Machine Learning and Fuzzy Logic, empowers state-of-the-art management. Integrating with corporate IT, it renders business operations more profitable, reliable, and agile. 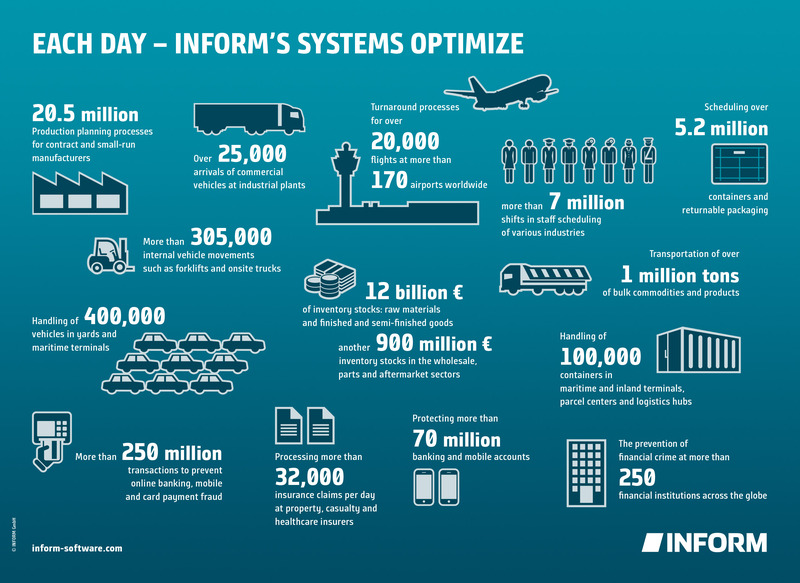 At INFORM, more than 750 business analysts, data scientists and software engineers support more than 1,000 customers worldwide. Software solutions optimize Airline & Airport Operations, Fraud Prevention & AML, IBP, Inventory & Supply Chain Management, Logistics, Production Scheduling, Transportation, and Workforce Management. Please find success stories, brochures, white papers and many other documents here. 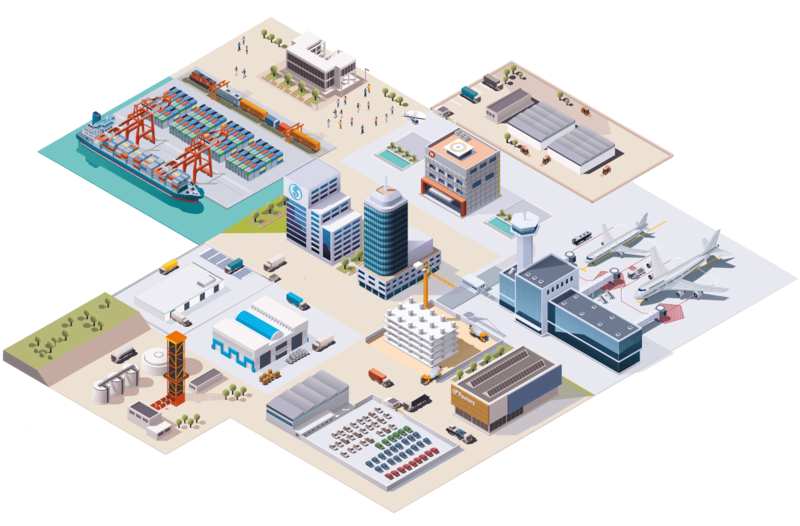 Intelligent logistics process optimization has become a key success factor for any business. Our customer magazines are a comprehensive source of trends and technologies.